Romantic, colorful and ageless, Moroccan decor has been a source of inspiration for interior designers for decades but is becoming wildly popular among the masses within the past few years. 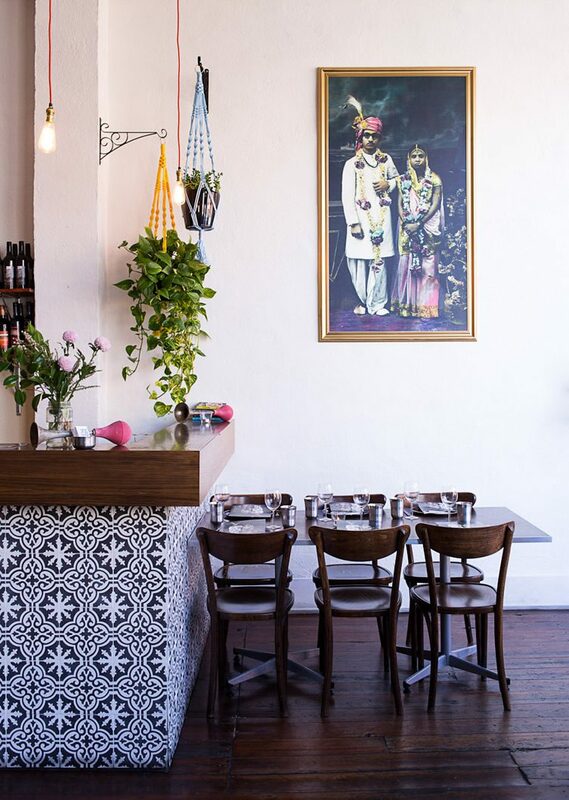 With its blend of warm hues, vivid patterns, lush textures and charming accessories, Moroccan style appeals to dreamers, art aficionados and lovers of exotic cultures alike. Renovating your home with floor to ceiling Moroccan-inspired design will call for extensive replacements, there are a few simple and budget-friendly ways for you to spice up your existing decor to give it that same flair. 1. Bright flourishes. Moroccan interiors are dominated by rich, warm hues that reflect Northern Africa’s climate and setting. Homes that employ this style tend to feature dark and neutral tones which give space to accentuate surprising color contrasts, contributing to the recognizable eclectic look. The color scheme of Moroccan interiors is often a blend of desert and ocean hues but whites and pastels are used to achieve aesthetic integrity and balance. For a bright Moroccan flourish in your home, supplement a neutral or color-washed decor with cushions, throws and accent pillows in blood red, vibrant orange, intense yellow, fuchsia or turquoise. 2. Textural wealth. Textural opulence is another landmark feature of Moroccan style. Perched between the desert, mountain peaks and Mediterranean sea, Morocco is known for their premium-quality textiles. The region’s love of supple and handmade fabrics shines at its finest in Moroccan homes. For a true-blue touch of Morocco, pick soft home fabrics with elaborate patterns and intricate details in warm colors to scatter around your space. Turn to silk or gauzy fabrics and use them creatively as room dividers, canopies, drapes or furniture covers. 3. Soft lighting. Magreb nights, especially those in the desert, can be dark and ominous, but Moroccan homes are well-armed. Moroccan lanterns, crafted from copper or brass of the most intricate designs, offer a subtle glow and are perfect for experimental decor. Fragrant beeswax candles and floor lamps also occupy a prominent place on the list of traditional Moroccan lighting, so you can use them to amp up the ethnic appeal of your home as well. 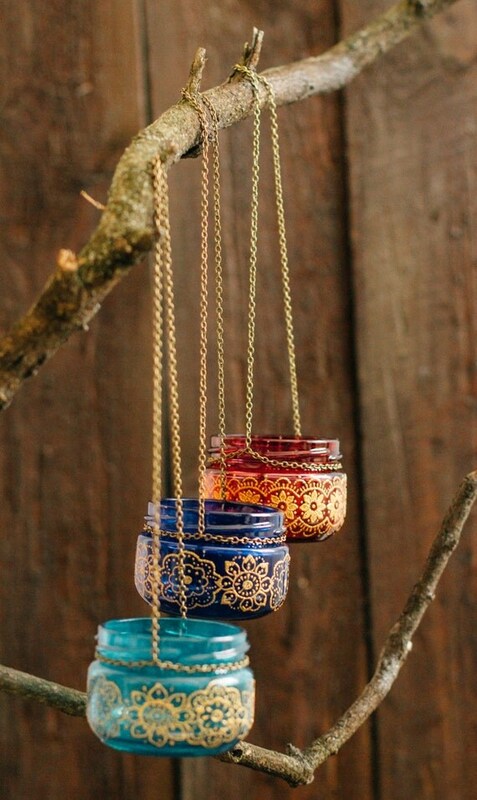 To add a magical touch of Morocco to your home, grab a stack of metal lanterns to hang from the ceiling or group in the corner of the living room. 4. Exotic carpeting. Moroccan rugs and carpets are known across the globe for their premium-quality fiber, lavish detailing and superior craftsmanship. Created from abstract and geometric patterns, Moroccan rugs were originally used as bed covers and blankets that could transition from hot to cold seasons. Their color palettes are structured around bright and neutral hues and tend to have coarse, hand-crafted textures, making them instantly recognizable. For an eclectic look, use Moroccan rugs to visually divide your space into separate units or layer them to achieve a bohemian ambiance. Moroccan carpets can be costly, but their aesthetic value and longevity is priceless. 5. Eclectic patterns. If you want to experiment with Moroccan elements but don't want to risk having excess visual noise, use the ethnic prints to turn a vacant wall into the focal point in the room. While tiling an entire wall isn't always cost effective, modern wallpapers with geometric prints or arabesque-like lattice patterns easily pump up the aesthetic interest of your bedroom or living area. 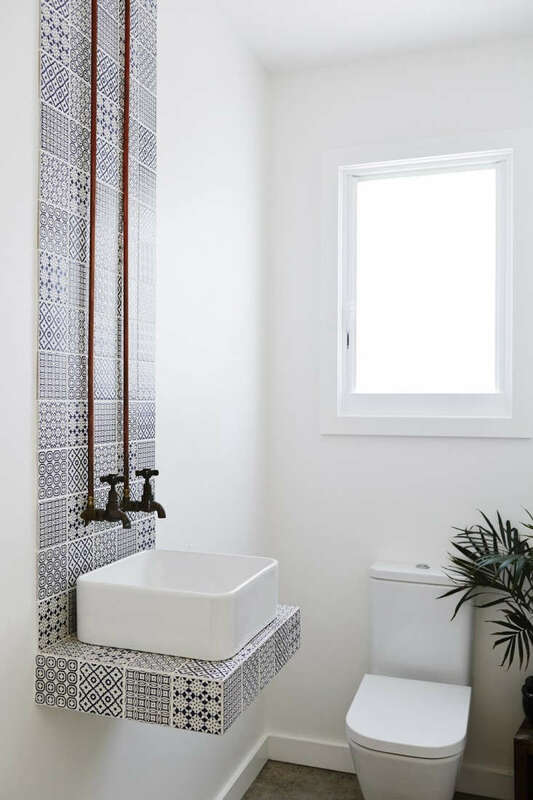 If you aren't shy about the price, introduce the Moroccan look into your kitchen or bathroom by replacing standard floors with Moroccan tiles or adding tiling beneath your archways. Moroccan flair goes a long way in a contemporary home. If you want to jazz up your home look with superior aesthetics in mind and tweak it to reflect both current interior design trends and your love of exotic cultures, try borrowing ideas from the beautiful country that does bohemian best.